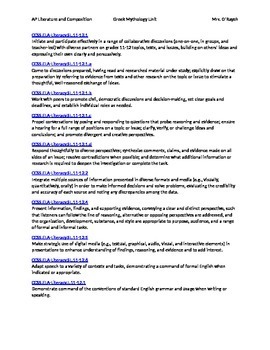 This unit has been compiled for my AP Literature and Composition class for the beginning of the school year to review or introduce them to Greek Mythology, which is often alluded to in literature and some of the questions on the AP Literature exam refer to these allusions. In order to gain a better understanding of mythology, students begin by discussing the importance of studying Greek mythology before creating group projects that include choices. Students learn about creating and giving professional presentations and then they present their projects to the class in which the audience takes notes to use on an individual project in which the students create mythology newspapers. 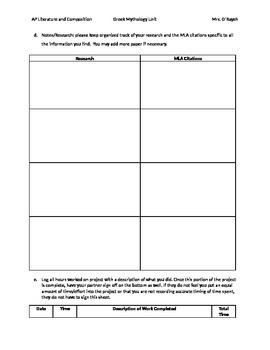 The unit is wrapped up with an assessment in which the students answer the essential questions using correct MLA format and proper paragraph format that is expected in AP composition. 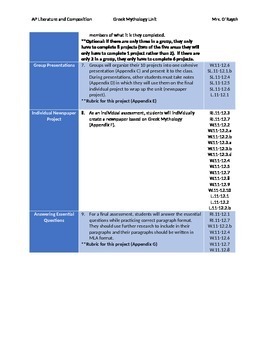 This unit is 29 pages long, includes the standards covered for each assignment/activity along with an appendix of all of the handouts required. 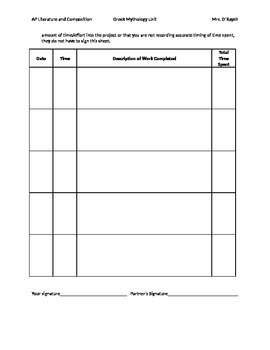 This unit should take approximately four weeks and could be used and modified for any secondary grade-level.